Lotus is revered the world around for its beauty and represents the will to stay strong and blooming no matter how difficult the surrounding situations are. This flower holds various meanings in different cultures around the world and therefore, makes a great tribal lotus tattoo idea when you want to convey something deeper about your way of thinking. As a beauty element, the tribal lost tattoo looks just fab on both men and women alike and can be carved in a variety of designs according to the cultural values and styling sense. 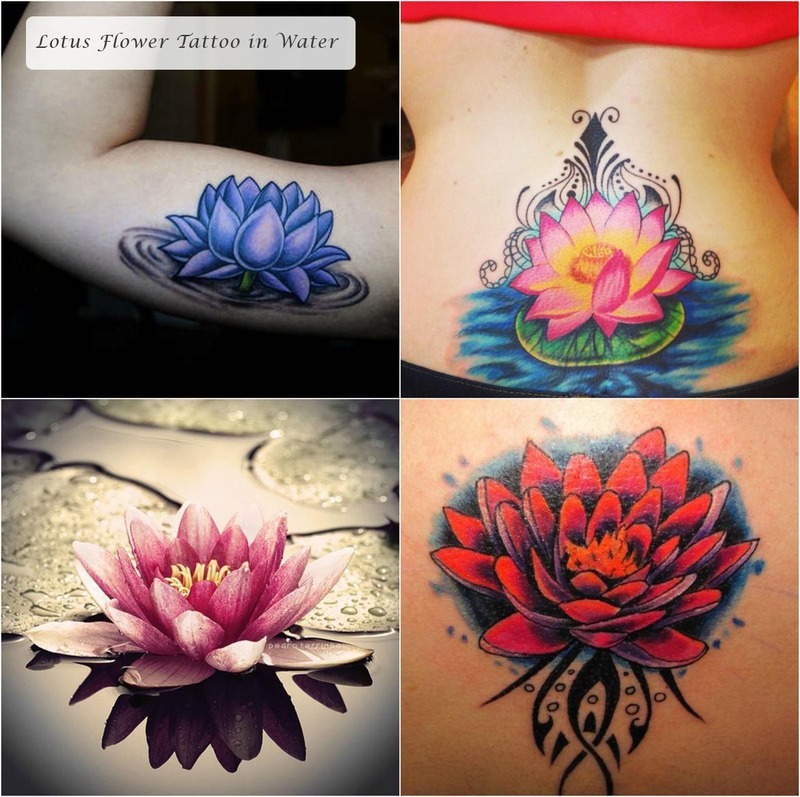 Tribal Lotus Flower in Water: This design features a beautifully carved lotus with water body or a pond as its backdrop. It signifies the strength of staying pure and unscathed by the vices around due to deep-rooted values, in both Buddhist and Hindu culture. This design can be made more beautiful by carving a cluster of these, or using blue and pink color artistically for better appeal. 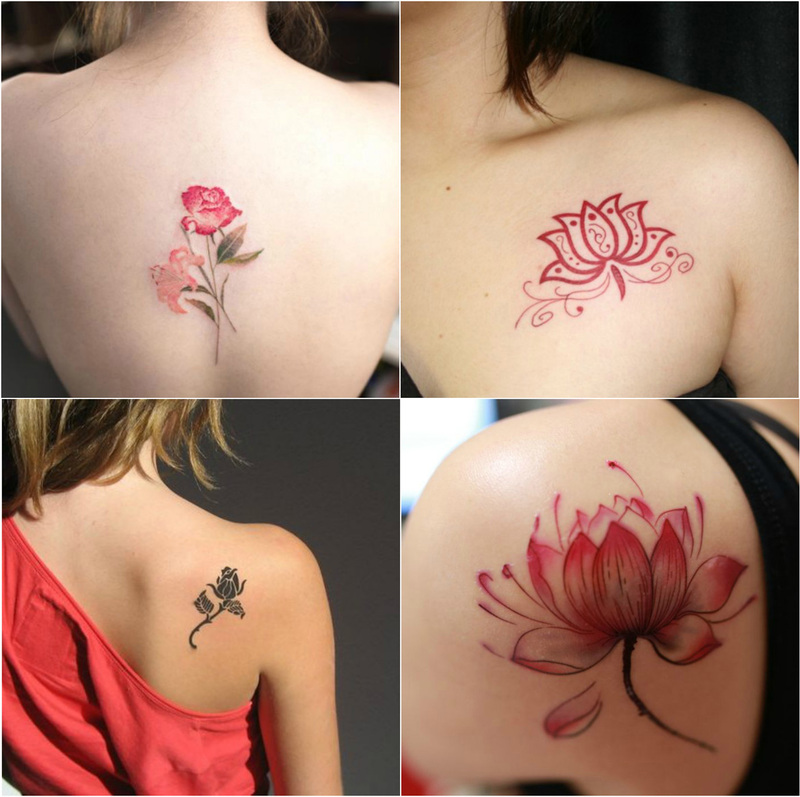 Lotus Tattoo With Dragon: The design of dragon in combination with the lotus flower is quite a rage among-st Japanese designers. The design stands for excellence and the intelligent use of these two elements yields better results in terms of styling finesse. 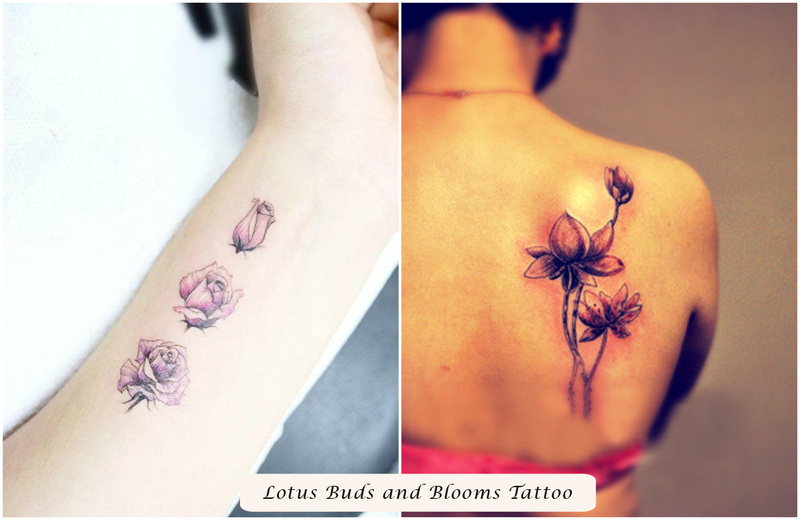 Lotus Buds and Blooms: A symbol of hope and goodness, the lotus buds and blooms can be carved to display the purity of conscience and heart. The person full of love and pure feelings can make use of this design to create a lovely impression. Tribal Lotus Flower Tattoo: This design is characterized by the unique black color used for filling the flower. Almost whole of the arm or forearm is usually chosen as the site for carving it. 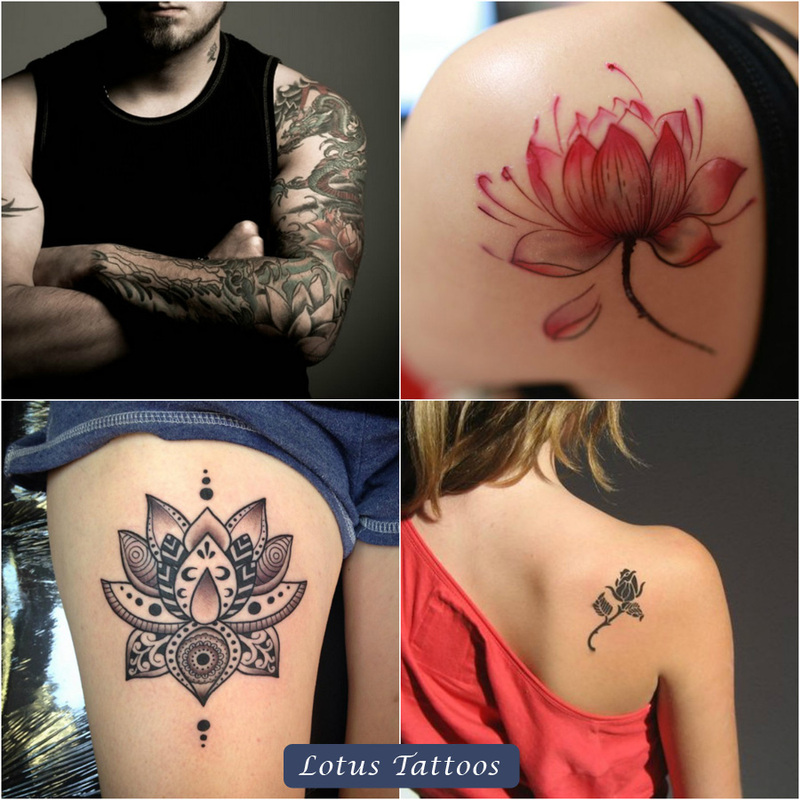 Find the best lotus tattoo design for your personality and send the message across in the most artistic manner; this surely is an ageless way of dressing up!